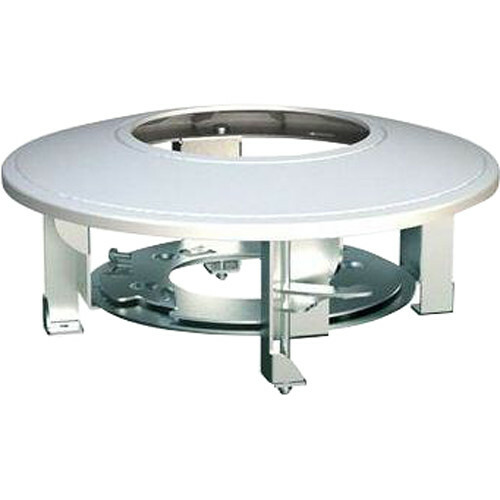 The white Hikvision RCM-1 In-Ceiling Mount Bracket supports a load capacity of up to 9.9 lb to securely mount a select Hikvision Network dome camera to a flat ceiling. It is made from aluminum alloy and designed for indoor use. Please be sure that the ceiling can support more than three times the weight of your camera and mount for proper installation. Box Dimensions (LxWxH) 8.45 x 8.45 x 4.0"